One of the not so hidden gems left from the first pass through Overwatch Contenders scene, Tuomo "Davin" Leppänen has been the DPS ace for Team Gigantti since August of 2017. 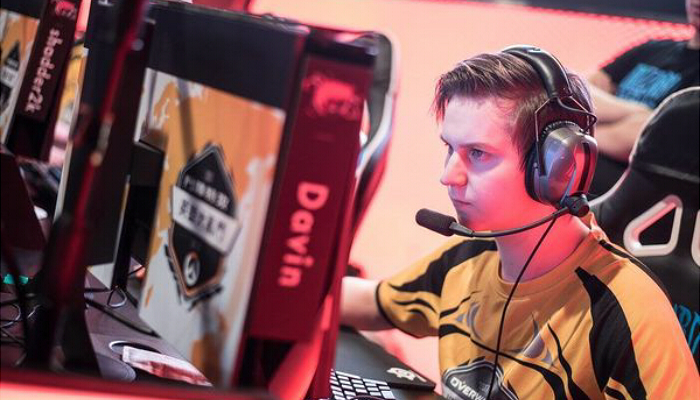 Breaking out on team Cyclone’s run through 2017, Davin has been amongst the top performers in Europe for nearly a year, even catching the eye of the 2018 Finnish Overwatch World Cup team. 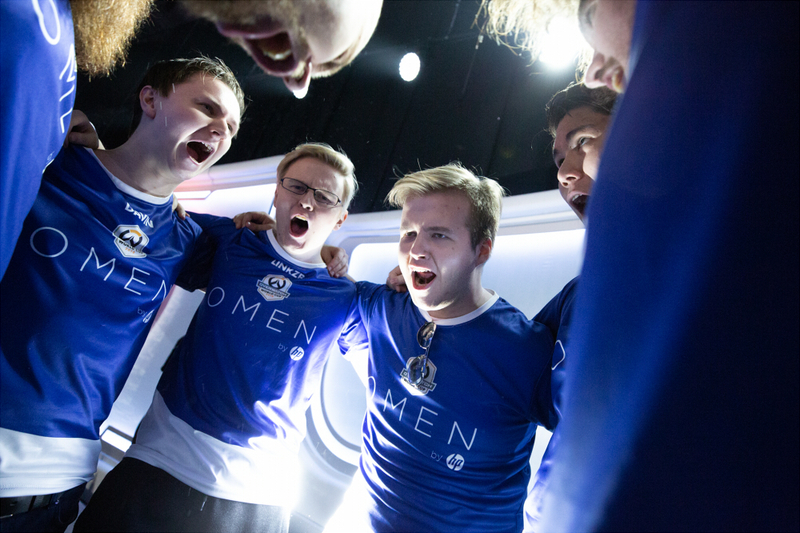 Esports Heaven spoke with Davin shortly after their nail-biting victory over Overwatch Contenders 2018 Season 1 champions, the British Hurricane. Not only did the Hurricane throw catch them off guard, but Davin touches on how the team quickly was able to innovate, their match against the British Hurricane in the quarterfinals, and how confident they are going into their semifinal match against One.PoinT. Lijiang Tower was surprising, to say the least, could you talk about what went wrong on that first control map? Did the British Hurricane’s curveball compositions catch you guys off-guard? It definitely did. We tried ignoring the Doomfist and focusing on frontline trades on that map and it clearly did not work. We changed this to hard focus the Doomfist on Numbani. Following that first map loss, what was the atmosphere like within the team? This version of Team Gigantti has some incredibly experienced players. Did the loss even shake you guys? I think we were still quite confident, we had a similar experience with Winstrike Team earlier this season with Mei. We knew that we can learn stuff during the series and hopefully find an answer and we already had some plans people agreed on for the following map. We’ve seen some teams substitute out D.Va for Doomfist more and more now and you guys adapted to it quite quickly. Could you walk the viewers and I through that thought process? How do you deal with Doomfist in the current landscape? The team with D.Va will have way more shield damage as well as better ultimate plays so the only way for the Doomfist team to win is for the Doomfist to get massive solo value, so I think the best way is for the Lucio to keep an eye on the Doomfist and once we expect him to come in we hard commit on him and try to kill or make him leave the fight. As they also use bubble on the Doomfist we can use bubble defensively. The big danger here is that they can potentially abuse our Reinhardt who has to play really passive. Ilios was nearly too close to call and the last sub-map, Well, was incredibly back and forth. What did it feel like to finally secure the win in such a touch series? Towards the end of well it really looked like we were going to lose so being able to pull it back was definitely something to remember. It was definitely the closest game I’ve had in Overwatch. The Hurricane showed some deviation away from the tank-centric metagame. Do you think we’ll be seeing more of that leading into the semifinals and the grand finale? I don’t think so. I think the reason why they are able to do it so well is because they have the best Doomfist main in Europe and he is the main reason why they can execute these anti-tank compositions so successfully. Staying with that same topic, the PTR has just been updated with some changes to Brigitte, D.Va, and Reaper. Some people are heralding the death of GOATs while others lament what strange metagame we’ll end up in post-GOATs. What are some of your thoughts on the newest change? Really hard to say without some serious experimenting but initially, it does look like there will be more room for anti-tank comps. I personally don’t mind whatever the metagame will be we have a really flexible roster and I’m sure can pull off whatever is needed. One.Point was another team that seemed to excel at Control as a map type. How confident were you guys feeling going into that semifinal match? We were definitely confident going into it. We obviously scrim against all of our competition a lot and therefore knew that we have good chances of winning. Both teams that advanced to the grand finals did so very convincingly and Zappis mentioned after your victory that no matter who you met in the finals, you guys would win. Do you agree with your teammate? Are you guys doing any last minute preparation for Angry Titans? Angry titans have been one, if not the only team that has been giving us some trouble in scrims but I do feel like we are slightly better. That being said it could go either way but I agree with Zappis. We have definitely prepared for them as we practice versus each other a lot. When it comes to individual players when you look across the table to Angry Titans, is there anyone that the viewers at home should keep their eyes on? Anyone one in particular that you're going to be hunting for? To me personally, ELLIVOTE has been standout from the enemy D.Va players when it comes to graviton eats. Luddee boops are also a thing that people might not notice but are very impactful at times. I spoke with British Hurrican’s analyst, Dream, after the match and he said that whoever won that match was going to win it all. Who from the lower side of the bracket would you like to meet in the grand final, if you guys do end up making it to the finals? I personally don’t mind facing anyone, to be honest. Would be nice to beat Samsung I guess as they took a series from us earlier this season.